The operations at liquefied natural gas terminal in Klaipeda seaport are suspended this week due to the upcoming dredging works. The Lithuanian port will be closed during the whole week, as dredging aims to clean the ground of the bottom, remove sand deposits and to ensure safe depth for the carriers. The cleaning operations will be held annually and aims to improve the quality of service and safety into the liquefied natural gas terminal. 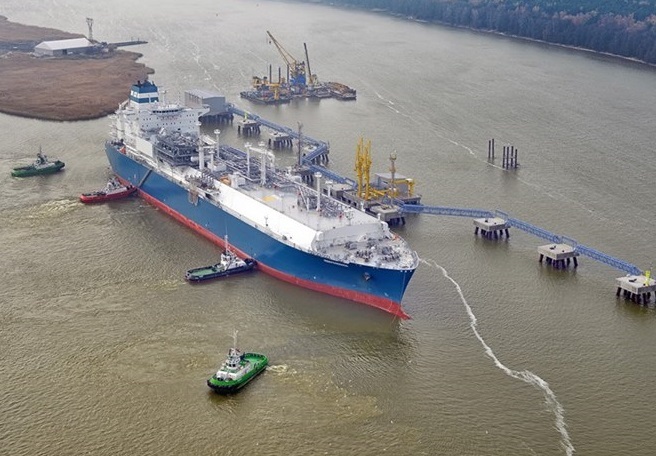 During dredging the LNG storage reservoir of the port, floating storage regasification vessel Independence, will be disconnected from the pumping and gas transmission systems and towed to another pier of the company operator. “This is the second maintenance since the opening of the LNG terminal in late 2014. The shipping channel length is almost 13 kilometers and planned to pump up to 400,000 cbm of sand deposits”, said the official statement of the terminal operator, Klaipedos Nafta. The floating storage regasification vessel Independence is used for receiving of LNG from gas carriers, LNG storage and re-gasification and discharging of LNG to gas carriers. 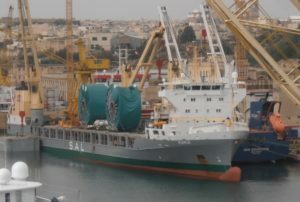 The vessel id docked at the port and used as storage reservoir in the port. Klaipeda State Seaport is the northernmost ice–free port on the Eastern coast of the Baltic Sea. It is the most important and biggest Lithuanian transport hub, connecting sea, land and railway routes from East to West. Klaipeda is a multipurpose, universal, deep-water port, providing high quality services. The floating storage regasification unit Independence is LNG carrier built by Hyundai Heavy Industries. It is leased from Höegh LNG for 10 years with an option of buyout. It has a maximum capacity to handle of almost 4 billion cbm per annum of natural gas (2.2 million tonnes of LNG), while it has four storage tanks with total capacity of 170,000 cbm. Klaipeda seaport is in Lithuania, Pls clarify if the latvian seaport is suspended or the lithuanian one. Siddiqua Fatimah, sorry for the technical mistake. The concerned port is Klaipeda seaport in Lithuania.